My story with Mockplus began when I started using it half one year ago, and I was so deeply impressed by its simplicity & efficiency which could be incomparable with other prototyping tools. Most recently, it will release a big update (so-called 2.3 version), and this could be another one giant leap forward for this tool that I've been witnessing. I always believe that Mockplus is an excellent prototype design software that has been dedicating to better user experience always the time. And its feature "Simplicity and Efficiency" is so distinctive that this tool has to give up some highly-personalized and complex functions. Mockplus, this time, proves its dedication and vision again in this new update. In the new 2.3 version, the most intuitive change we can see is the project bar has been moved from the right to left side and the components' property box has taken the entire right sidebar. That will add much convenience while setting properties. 1. This can free up more design space. There are only two panels on either side and the design canvas in the middle will be much larger accordingly. 2. All interactions can be done on the right-hand panel, allowing us to set the components' interaction and the page link in one place, instead of two separate places. 3. 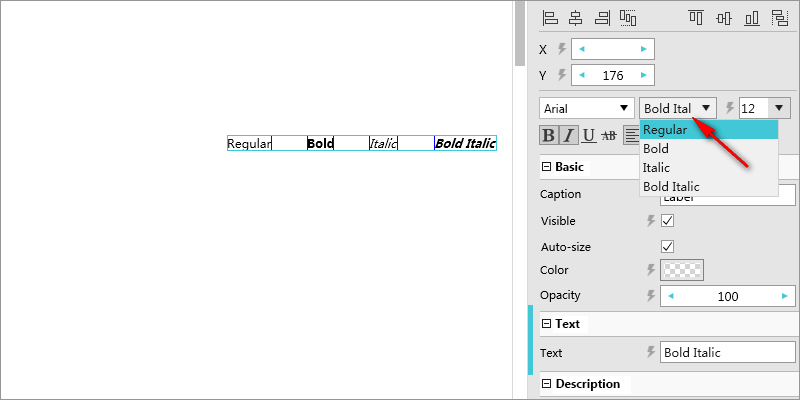 It's much easier to set some common properties (like text font and font size) as well as common operations (layout, alignment, etc). Plus, I notice that many new attributes have been added to components. For instance, it adds rounded corners for Tab component, label color and border, rolling and many more attributes. Moreover, I find that more components have border-related property settings. 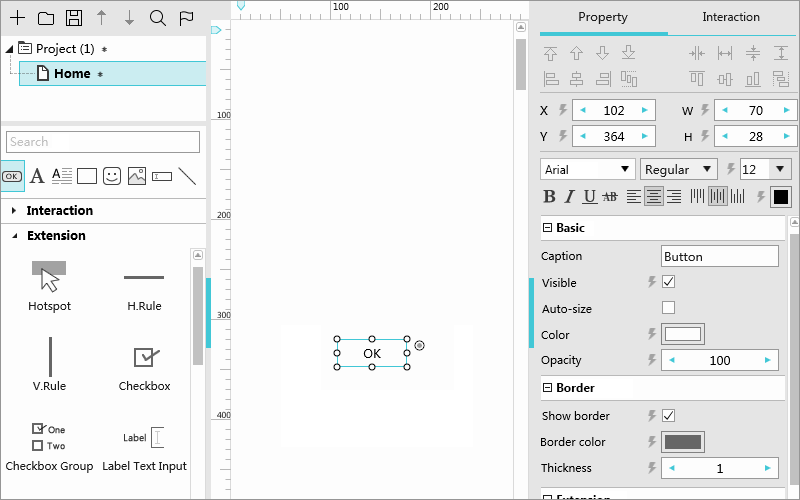 For instance, it's possible to set the border when the Shape component in the rounded corner. These attributes definitely make components much flexible and adaptive to more scenes, all contributing to better serve our design ideas. 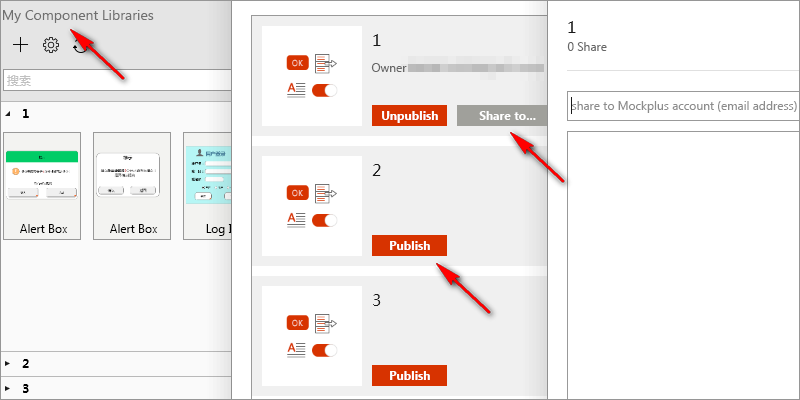 Another highlight in this update is the components' library synchronization and sharing. The "Library" feature allows we designers to add, remove or modify our customized "Components", "Groups" and "Pictures", etc. Meanwhile, we can publish and sync our own component libraries to the cloud. Most importantly, we are capable of sharing libraries with others, which will be a big plus for team collaboration. Also, there is no doubt that these user-customized component libraries will get more and more rich, and Mockplus users can directly modify/use various types of finished/semi-finished components with least efforts. 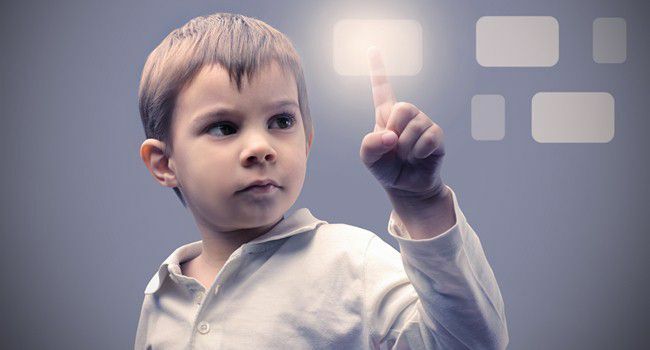 To some degree, this feature may become a form similar to the network community, enabling users to work, learn and communicate with others via their own component library. Of course, this would be some distant visions, but we can use the Mockplus official public library to enrich design needs. Furthermore, users will have the ability to view version history and set protect password for cloud project management. It's allowed to customize the zoom ratio of design canvas, and to apply different widths for different pages in Web project. Not only does this new version add some properties and functions, but also fixes a certain amount of problems. As far as I'm concerned, it fixes the issues that the keyboard cannot disappear and the images look blurry on the mobile phone, along with the issue that interactive targets may be lost while copying and pasting, etc. It seems that there's nothing more eye-catching other than the component library, but the truth is the icons, component properties as well as the richer functions should be a further interpretation of Mockplus's focus - the user needs. From my personal benchmark, the new update is like an old and loyal friend who come over and say "Hey, tell me your troubles and I will nail it"! Instead of pushing us to learn it continuously, Mockplus is always in constant adaptation to user needs and solve user's troubles. That's why I like it. I'd like to compare this tool to an independent assassin, because it's too focused on their own characteristics as a prototype design software. 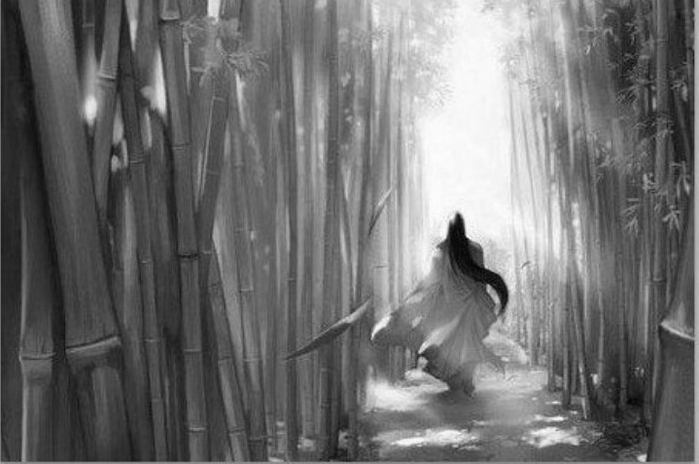 "He" only walks on his own way, never seeing anything; "he" only does what he will do, no superfluous. Its focus brings both people's love and annoyance: love he's not chasing fame and interests, but also get annoyed by this beginner's mind. But perhaps because of his focus, suddenly on one day when he abruptly looks back from his own small road and finds that he has already embarked on high hill.